Anyway, this outfit was shot a couple of days ago, when there was still a little bit of sun! 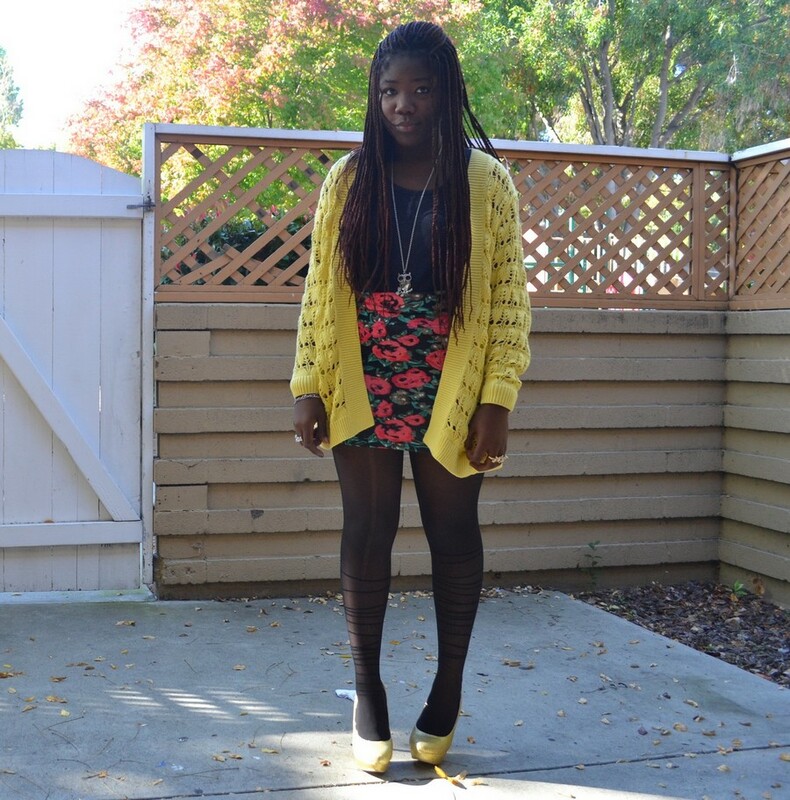 I bought this cardigan the same day I bought the one with the aztec prints, I was looking for a yellow one for a bit and I was so happy when I found it!!! I was actually a little bit hard for me to pair it with something at first, but then I tried this floral skirt and I quite liked the result? Did you? Bref les photos datent d'il ya un peu plus de 2 jours, quand y'avait encore un peu de soleil! J'ai achetee le cardigan le meme jour que celui avec les motifs azteques, vu que ca fait un bout que je recherchai un de couleur jaune j'ai pas hesitee une seule seconde! J'avoue que je suis restee un petit moment a essayer de trouver une combinaison avec, mais je le trouve pas mal avec cette jupe fleurie! Et vous?? Perfect oversized sweater! This look seems super comfy. love the look dear! your cardigan is awesome! i want your shoes too haha! Cool! Lov yah always dear! I love your outfit! Yellow is definitely my favorite. Love how you've done your nails! Love the print on the skirt. 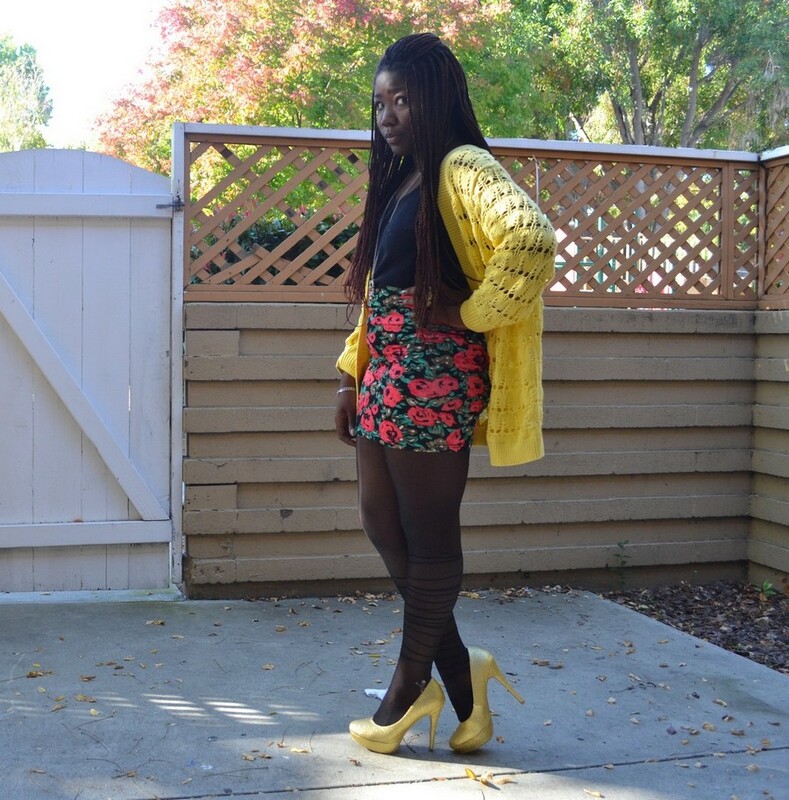 And the colors are great with the yellow cardigan. have I mentioned yet that your braids are really cool! you are so pretty, and you have one of the most amazing styles for such a young girl. i admire your motivation and drive, and i am totally a fan. following, and hope we can definitely stay connected. cheers!